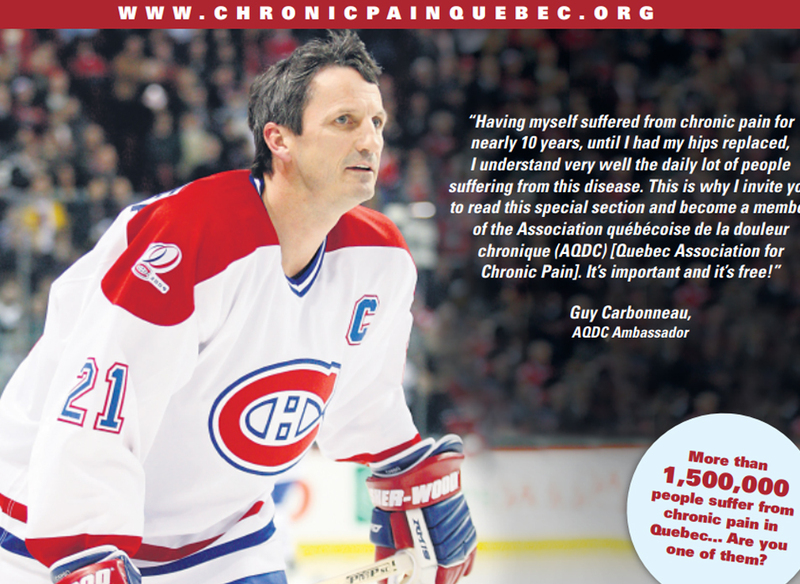 Jacques Laliberté knew little about chronic pain until he had a snowboarding accident, at the age of 58. His life, as a young retiree and former GM of a subsidiary of a major oil company, was turned upside down. He was forced to slow down, and many things he once enjoyed became impossible. 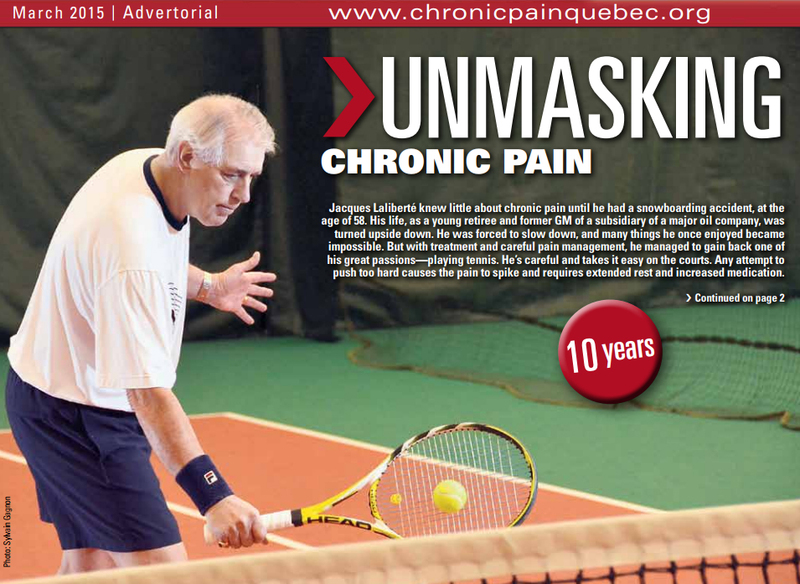 But with treatment and careful pain management, he managed to gain back one of his great passions—playing tennis. Help the AQDC break the taboo? It’s not always easy to admit you suffer from chronic pain, but keeping it to yourself can be evern harder. 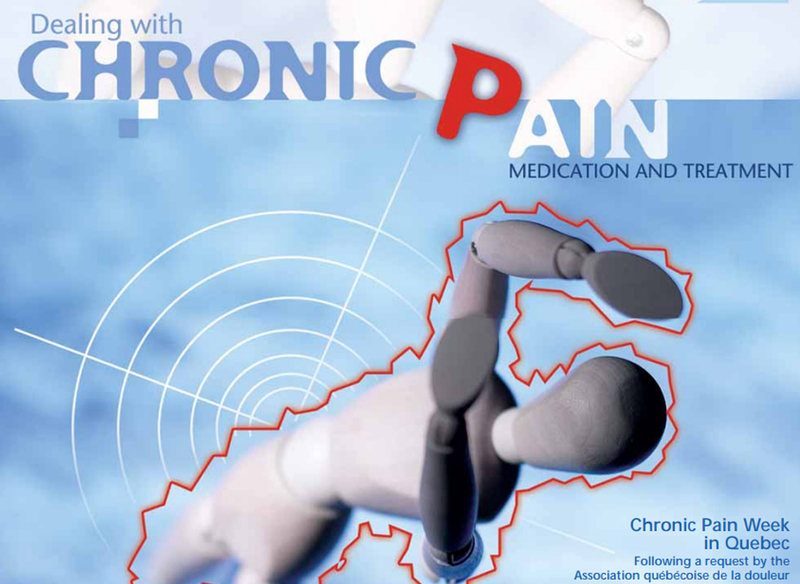 TheWorld Health Organization (WHO) has recognized chronic pain as a disease since 2004. 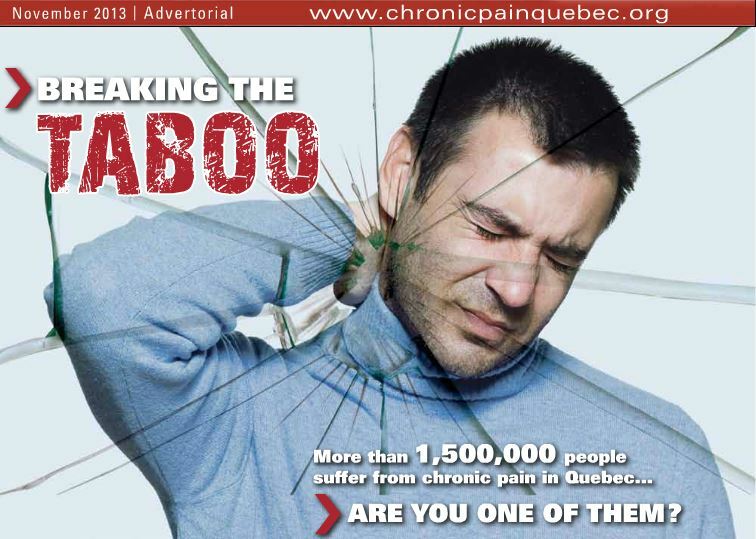 This scourge affects 24% of Quebec women and 20% of Quebec men, or 1.5 million people. In Canada, it is estimated that costs generated by the utilisation of health care ressources and the productivity loss exceed 6 billion dollars per year. In the 18-55 age group in the United States, back pain alone generates more disability and is more costly than cancer, cardiovascular disease, strokes and AIDS combined. Our mission is to improve the condition of persons suffering from chronic pain and to reduce their social isolation. 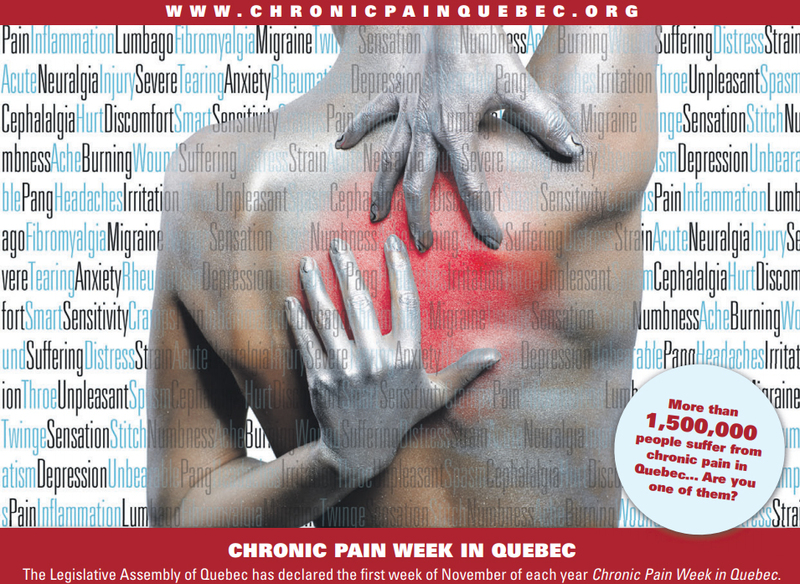 We want to increase our members’ accessibility to various therapeutic treatments aimed at relieving chronic pain.